If you have been practicing for a year or longer and wish to formally reflect your commitment to the dharma path, I will be offering this opportunity through One Dharma. It will culminate in a ceremony at One Dharma, which we will plan for a time in November that works for all involved. If you are interested, please email ernst.lisa@gmail.com by October 1. If you have already taken refuge and the precepts and wish to refresh your vows, you are also welcome and encouraged to participate. I often think of dharma practice like a tripod, with three legs that create balance. On one leg there‘s meditation, including daily practice and retreats; on another is mindfulness in daily life; the third is sangha practice. Let’s start with meditation. For many, establishing a consistent daily meditation practice is quite challenging. It requires making a commitment to carving out time to disengage from the ingrained distractions and patterns that inevitably arise in daily life. Often when people say they don’t have time to meditate, it’s really that they aren’t making the time, which may otherwise be used to watch television or engage in online and other activities. Meditation requires that we face ourselves, including all of our imperfections, leaving nothing out. Sometimes our sitting may be lovely and restful, even transcendent, at other times challenging and wobbly. But the key to a consistent practice is the willingness to receive all that arises in our awareness with an open and compassionate heart. This isn’t always easy, but its how the fruits of practice begin to ripen and transform our lives. 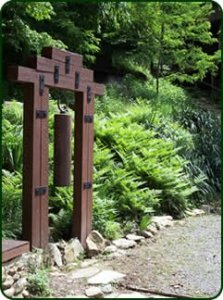 For the committed practitioner, meditation retreats are not a luxury but a vital part of deepening the practice. Concentrated time spent away from daily distractions helps us access parts of our minds and hearts that are otherwise out of reach; retreats help us contact our deepest evaded realities. If your life situation prevents you from traveling afar or carving out chunks of time for retreats, take advantage of daylong retreats as often as you can and shorter residential retreats that only last a weekend. Practicing mindfulness in daily life is also vital to waking up. Some traditions emphasize sitting meditation and forget to focus on “off the cushion” practice. This creates an imbalance in the tripod; it can set up a firewall from everyday life. For our practice to deepen, we need to align what we learn in our seated practice with our daily lives. One of the best ways to bring mindfulness into daily life is practicing mindfulness of the body. This is a deceptively simple yet deep practice: Buddha said that mindfulness of the body leads to enlightenment. We’re so often caught up in our busyness, our activities and thoughts that we lose our connection with this moment. Our bodies are always right here, ready and available to serve as an anchor for our present moment awareness. Bringing mindfulness to your body is an uncomplicated yet powerful practice you can do throughout the day to root your awareness in this moment and disengage from reactive patterns and habitual thoughts. You can still plan, think and carry out your activities, but you can do it all from a foundation more firmly grounded in presence and awareness. When our dharma practice is balanced it includes all three legs of this tripod. If we only focus on only one or two, we expend energy trying to maintain balance without a stable foundation. With our tripod in balance, however, we create the conditions for our practice to fully ripen and transform our lives, just as the Buddha taught.